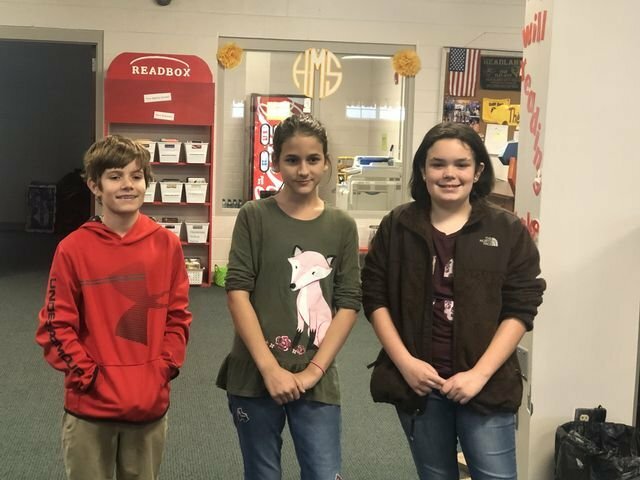 HMS would like to congratulate our 2018-2019 Spelling Bee winners. Connor Sherbert won first place and will compete in the county wide Spelling Bee in February. Leila Shelley won 2nd place and Reagan Trawick won 3rd place. We are so proud of all of our students that competed in the 2018-2019 Spelling Bee.